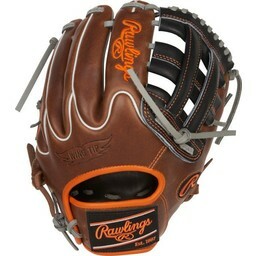 This Rawlings Gold Glove Club Glove is a special 11.50” Pro Preferred with a Pro H web that features a PRO31 pattern for a wider fielding area and a narrow, performance hand fit. Each month Rawlings releases two special gloves as part of their new Gold Glove Club. These gloves vary in style, size and shape, and are exclusive to only a select few dealers. 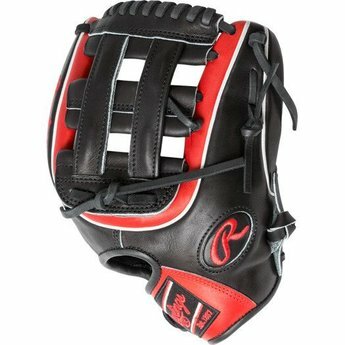 For the month of May Rawlings has come to the field with two outstanding gloves that feature a sleek and cool black and red design. 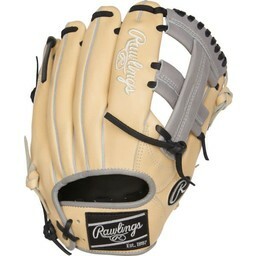 This Rawlings Gold Glove Club Glove is a special 11.50” Pro Preferred with a Pro H web. 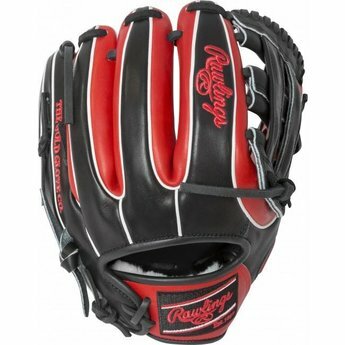 This Rawlings Pro Preferred Baseball Glove features a PRO31 pattern for a wider fielding area and a narrow, performance hand fit. 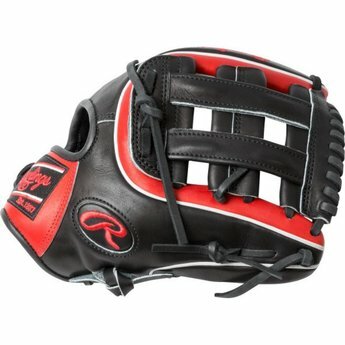 The entire glove is constructed out of Pro Preferred kip skin leather and features a padded thumb sleeve and rolled leather welting down the back of the fingers for added support.